Broccoli with an Asian-flair. 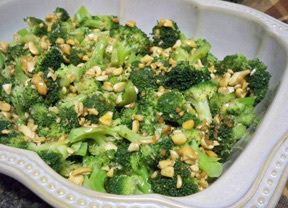 A little bit of soy sauce and a little bit of sesame oil bring this broccoli to a whole new level. Make this be a weeknight item. 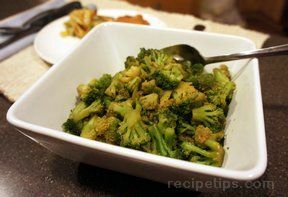 Clean broccoli and cut the broccoli into bite size florets. Bring water to a boil and salt the water. 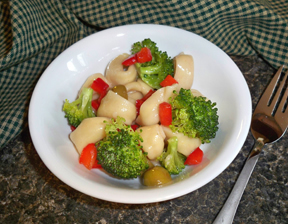 Add broccoli and cook 3-4 minutes. Drain; add soy sauce and sesame oil, to taste. "Perfect next to our Asian marinated chicken last night. 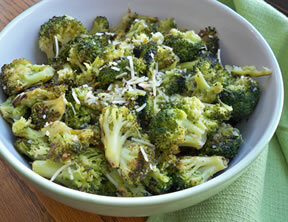 Just adds enough to the broccoli to make it different. But is still so easy."